You knew President Obama would cave on the Bush tax cuts when he first started saying that a deal was going to be made. In a brinkmanship fight, the most important weapon is the willingness to allow failure, or at least credibly threaten to do so. Some conservative Republicans have urged their GOP colleagues to resist raising the ceiling -- which currently clocks in at $14.3 trillion -- under any circumstances. Rep. Michele Bachmann of Minnesota is collecting signatures on her PAC's website "to force our elected officials to stop spending cold turkey," and Sen. Jim DeMint of South Carolina has advocated for a "big showdown" with Democrats by blocking the raise. 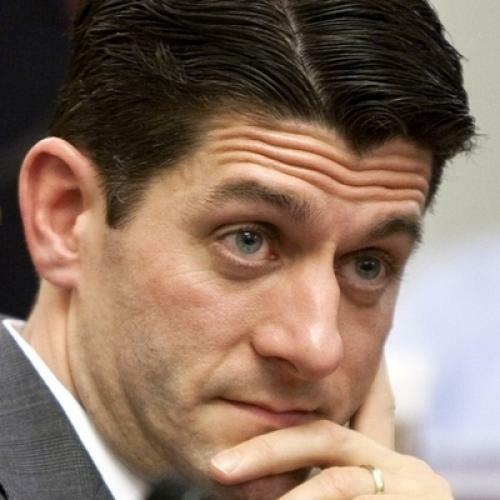 But House Budget Chairman Rep. Paul Ryan says that tactic isn't viable. "Just refusing to vote for it, I don't think that's really a strategy," he said, noting that a failure to raise the ceiling could result in the nation defaulting on its debts to investors. "Will the debt ceiling be raised? Does it have to be raised? Yes," he said at an event sponsored by economics21 and the Manhattan Institute at the National Press Club Thursday. But Ryan suggested that Republicans can tweak some specifics of the move - how many years the increase covers, for example. And, more importantly, they can tack on requirements for deep spending cuts as a condition of passage. "I want to make sure we get substantial spending cuts and controls in exchange for raising the debt ceiling," he said. At the end, Ryan says Republicans should attach some conditions about spending cuts. But once you've conceded that the limit is going to be raised, your ability to extract concessions is gone. My guess is that Republicans are hearing from the business lobby that even risking a default would be totally unacceptable.